Fellow Tailgaters! We are excited to announce that we are moving our tailgate to be part of the Gridiron Tailgate on the Campus Green. As most UC tailgaters know, tailgating space around campus is limited and we feel the Gridiron will be the best tailgating atmosphere hours before kick-off. So what is the GRID and how does it work? 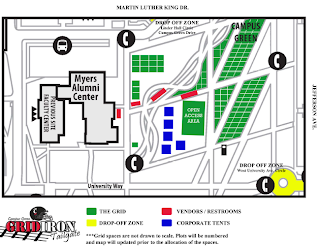 The GRID is made up of 100 tailgating plots stretched across Campus Green giving fans the chance to bring their pre-game parties to the heart of campus. 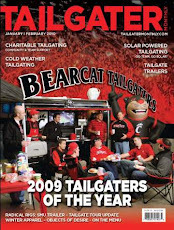 The 1200 Club is determined to develop the pre-game culture of Bearcats Football and create the best possible gameday atmosphere for the fans and for the football team as they step off the bus for the CATWALK through campus. Plots will be sold on a season-long basis for a flat rate of $150. Each plot shttp://www.blogger.com/img/blank.gifize will average 20' x 16' and are only valid for games at Nippert Stadium. All plot requests must be received by Friday, Aug. 12. Plot holders may bring their own food, beverages and tailgating supplies including grills, coolers, tables, chairs and small tents. Alcohol is permitted; no glass bottles or cans. Cups are acceptable. Food and beverage vendors will also be on site. The GRID has partnered with All-American Rentals for those who would like to rent supplies. All-American Rentals can conveniently provide tents, grills, tables, chairs and coolers for your party. They can be contacted after the allocation of the spaces at 513-521-6500. The GRID opens four hours prior to the scheduled game time and will re-open for one additional hour after the conclusion of the game. The area will close 30 minutes prior to kickoff and patrons must vacate the area during the game. Tailgate equipment may be left at your space during the game as security will remain on hand. Fans that do not have a reserved space inside the GRID are welcome to visit the GRID's Open Access Area. This free area allows the placement of coolers and chairs, but grilling is not permitted. 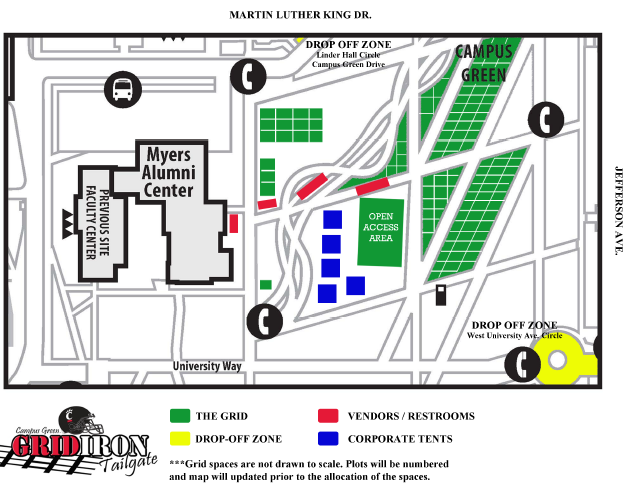 For additional information, including rules and regulations pertaining to the Gridiron Tailgate, please view the GRID guide by clicking HERE. 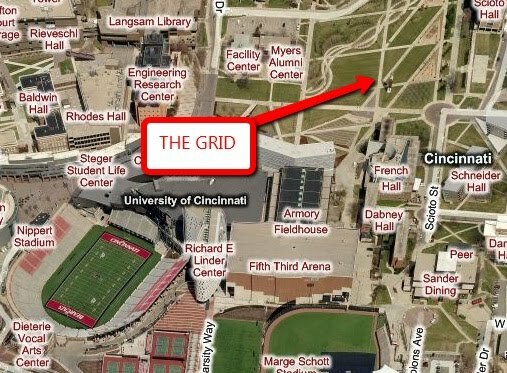 For any additional questions about the GRID, please contact Keith Pantling at keith.pantling@uc.edu.